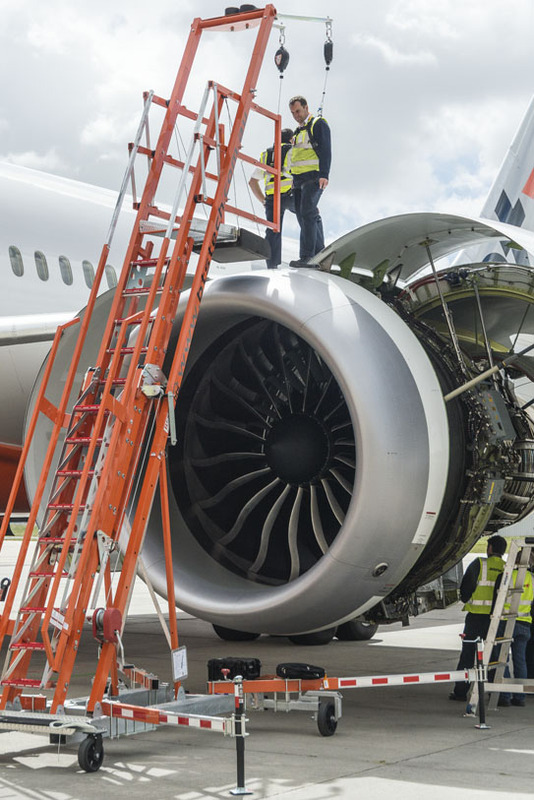 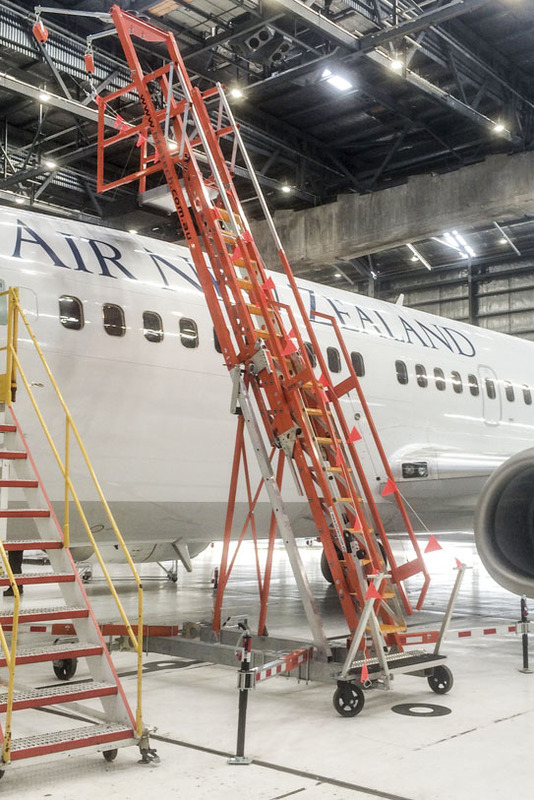 The Free Standing Access Stair System (FSASS) is ideal for use within the aviation industry as an overhead fall protection package in maintenance environments where engineers are constantly combating the issue of finding a solution for safe means of access and egress whilst working with a variety or aircraft with varying heights. 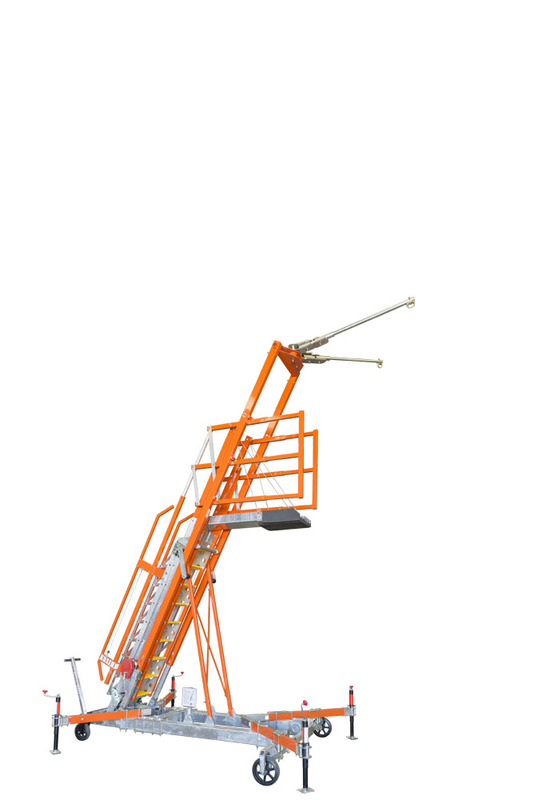 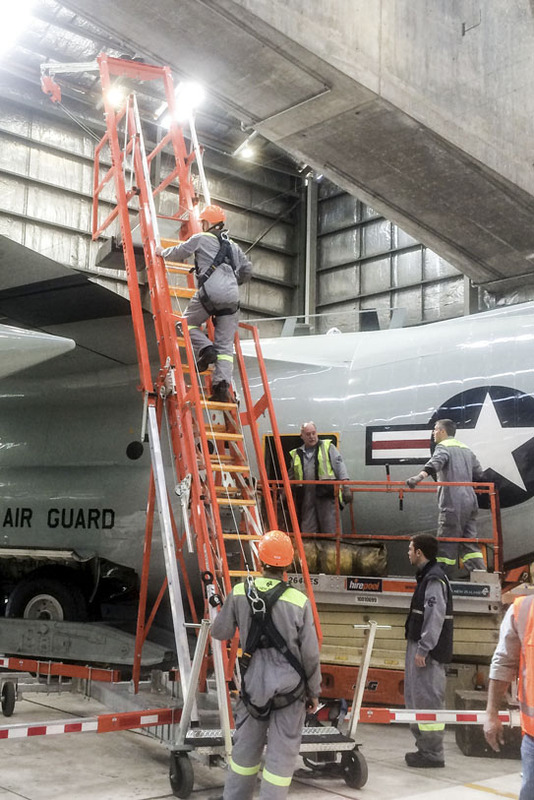 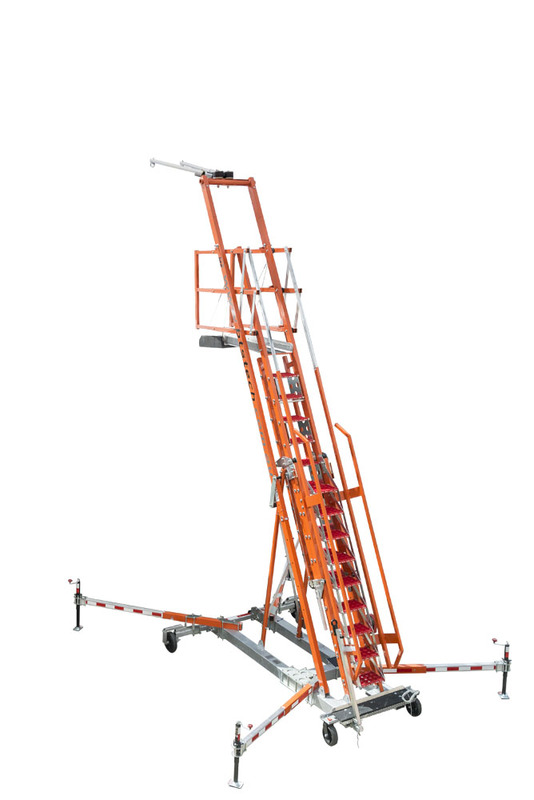 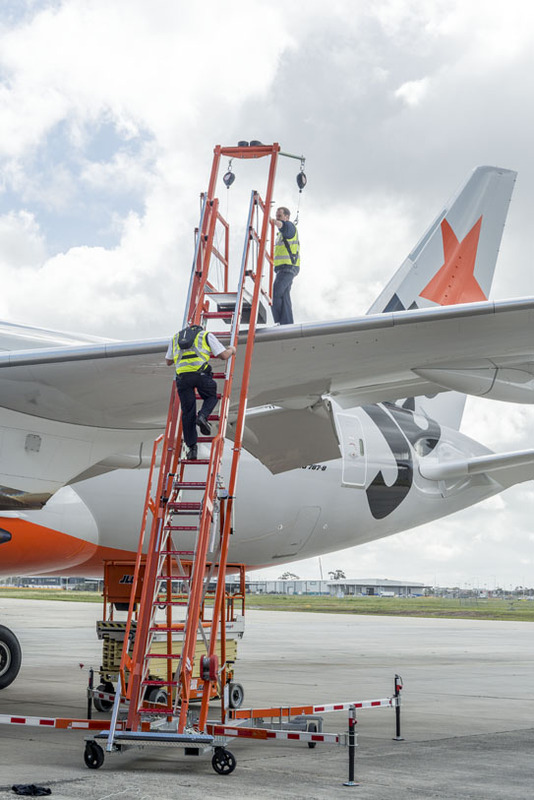 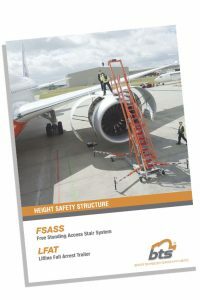 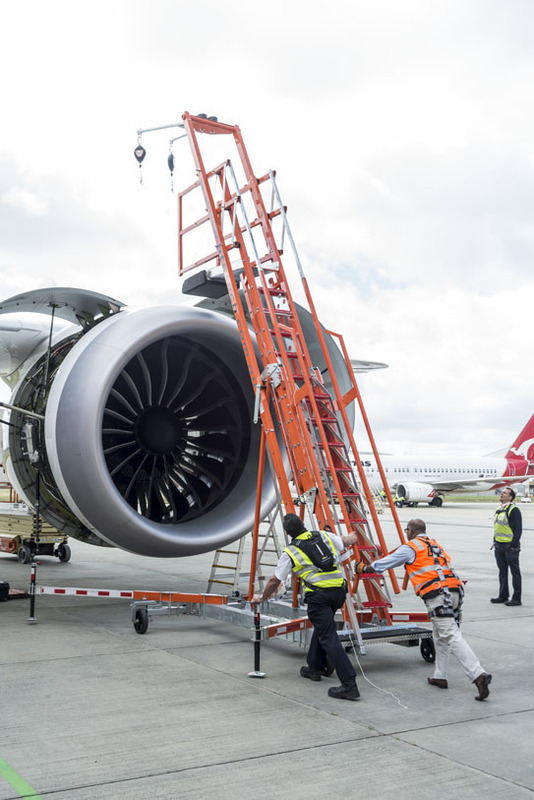 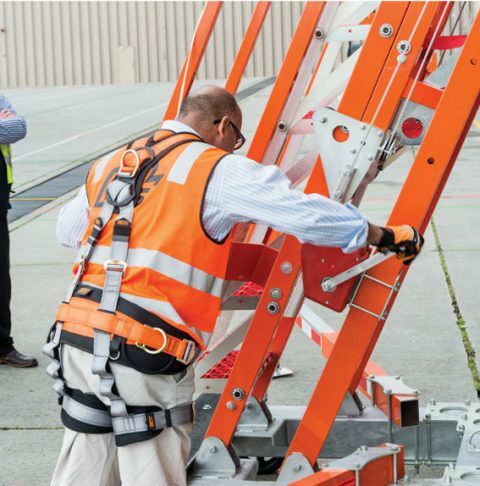 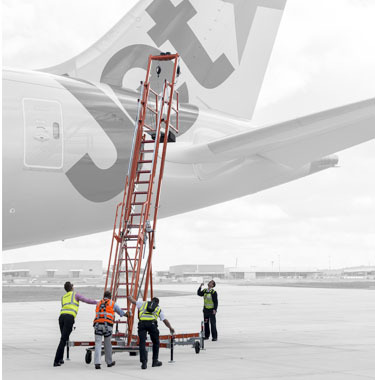 The FSASS provides two (2) users with a portable means of accessing areas on multiple aircraft types via a full stairway set-up and provides overhead fall protection when working on the aircraft (from the ground to the work area). 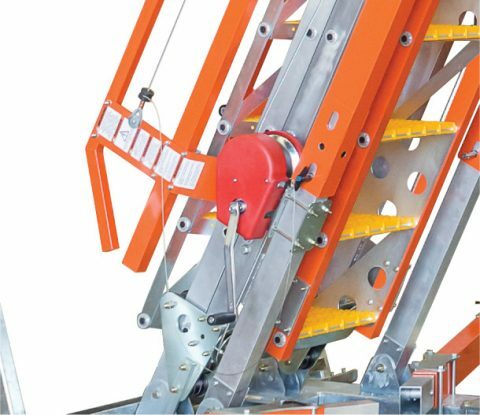 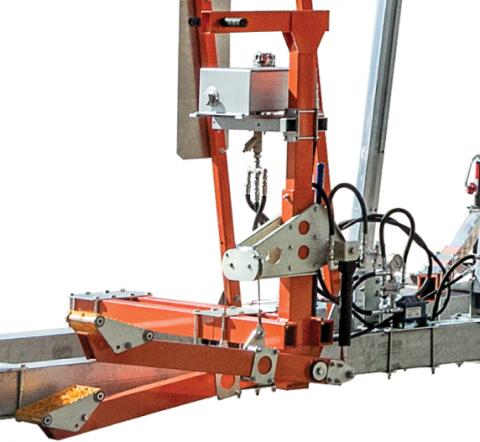 Adjustable outriggers enlarge the base footprint to stabilize and level the FSASS when in use and retract into the base of the stair to create a small and mobile unit for towing and transportation. 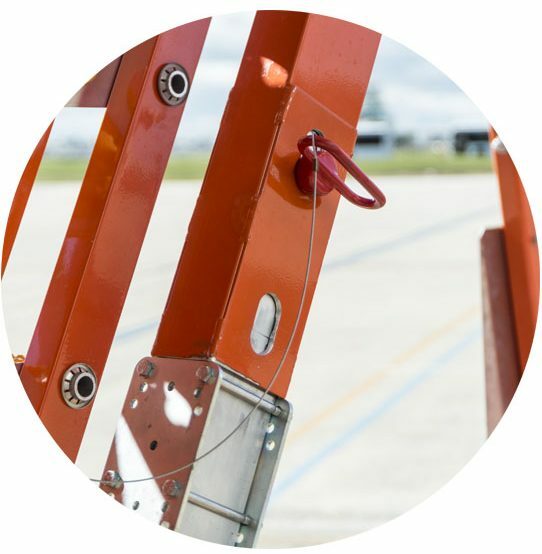 Components are resilient to Skydrol and other aggressive chemical agents. 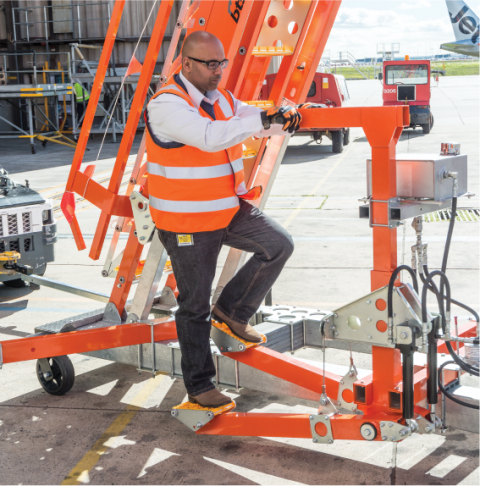 Hi-visibility day and night tape as per IATA requirements - Airport Handling Manual AHM Basic Safety Requirements. 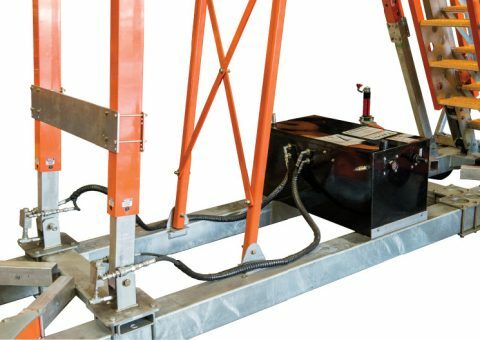 Counter-weighted so it does not rely on the aircraft body as the support foundation. 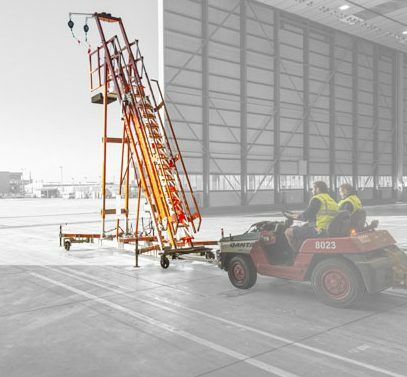 Can be easily maneuvered around a site utilising a tug or similar type of towing vehicle and can be positioned close to the aircraft by two (2) individuals. 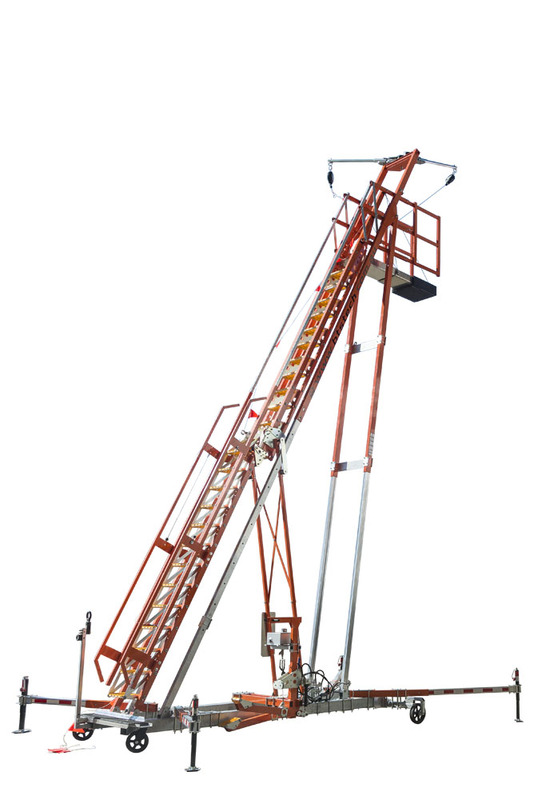 Maximum free fall of 600mm for worker when used in conjunction with an approved inertia reel. 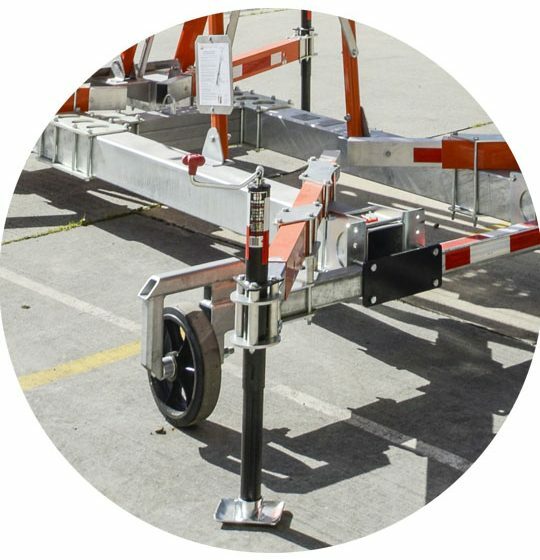 These systems feature a rugged steel base with various wheel options, while the upper structure is constructed of high quality lightweight aluminium tubing. 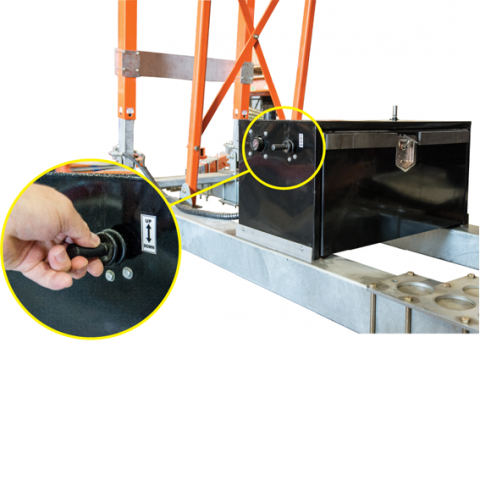 This keeps the centre of gravity as low as possible for improved stability during transport, operation and storage. 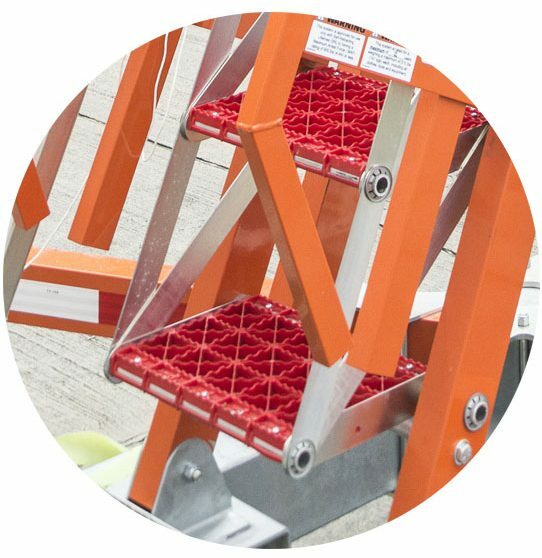 Injection moulded stair treads are made of impact resistant polyurethane, and feature unique open tread design which prevents build-up of ice, snow or other contaminants.